San Juan Island Sea Salt is made from Puget Sound water in Friday Harbor. Of all the food trends to emerge in recent years, it might be hard to imagine that salt, the unassuming mineral that sustains the lives of humans and animals alike, could become fashionable. After all, humans have been utilizing salt as food, medicine and currency for thousands and thousands of years. With endless salt options, table, sea and kosher salt are widely used at home and in restaurants. Table salt, acquired by solution mining, is finely ground and highly processed and possesses a harsh, bitter essence. Sea salt is minimally processed and evaporated from seawater. Used as a finishing salt, sea salt reflects the flavor and color of the water from which it was harvested. Kosher, or koshering salt, can be mined or evaporated from seawater. An all-star in the kitchen, kosher salt gets its name from the practice of koshering meat, or drawing blood out of meat before cooking, which locks in moisture and prevents meat from drying out. These salts have become such an ordinary part of our everyday life that it's easy to dismiss their significance. But chefs and food lovers are embracing the infinite number of salt varieties for cooking and finishing dishes, and artisanal salt harvesters are cropping up along both coasts. San Juan Island Sea Salt is made by pumping seawater into a 1,500-gallon tank. The coastal waters of the Pacific Northwest are perfect environs for the artisanal salt renaissance. 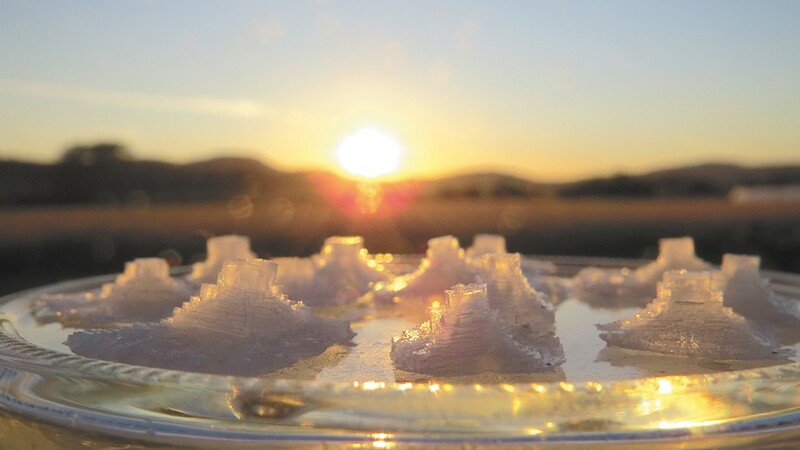 In Washington's San Juan Islands, Brady Ryan perfects his solar-evaporated sea salt. 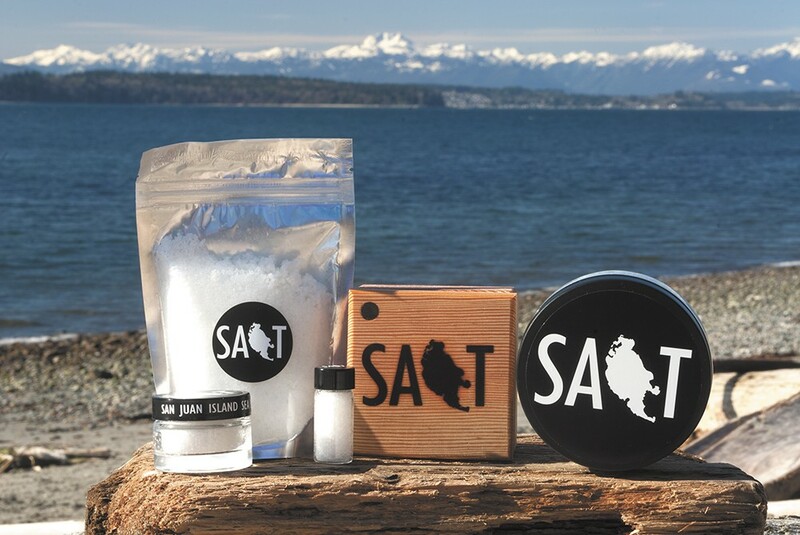 Ryan was inspired to create San Juan Island Sea Salt after reading an article about making salt by boiling seawater. A self-proclaimed water rat and science nerd, Ryan decided to combine his two loves. "It almost feels like alchemy. You see the seawater go away and the salt form. It's almost magical," he says. Once a month during the summer, Ryan pumps seawater into a 1,500-gallon potable water tank. 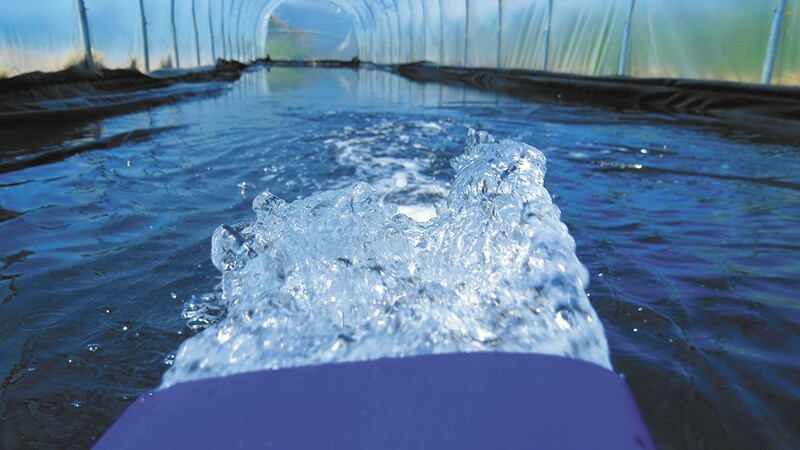 The seawater is gently filtered to remove excess sediment and seaweed, placed in solar-powered greenhouses and left to evaporate. "The longer you let your water evaporate down, the more trace minerals — magnesium, potassium — come in. We let ours evaporate down to dry, which is very unusual," says Ryan. He's focused on consistency and appealing to home cooks and chefs alike. "I've been trying to develop a consistent product. I want to feel really confident when I produce. A big part of growing a business is getting it out to the chefs," Ryan says. Appealing to chefs is key, especially when you find a chef who is as passionate about salt as Laurent Zirotti, who also owns Fleur de Sel in Post Falls. Zirotti utilizes an expansive array of salt in his repertoire, including kosher, fumé de sel (smoked sea salt), Himalayan pink, Hawaiian red, sel gris and fleur de sel, the prized top layer of hand-harvested sea salt. "Fleur de sel is a noble ingredient, it's the cherry on the cake. You don't cook with fleur de sel, you finish with it. It's way less salty than regular salt," says Zirotti. "Because it's less salty it's pleasing to the palate. It's too expensive to cook with. It would be a waste. It would be depreciating the product. It's almost like wine. You cook with decent, good wine, but you drink the good stuff." Fleur de sel graces more than savory dishes; Zirotti's chocolate tart and caramels are finished with fleur de sel as well. Spokandy owner Todd Davis' confections are also eager recipients of a finishing touch of sea salt. Davis uses sea salt to create balance in his chocolates and caramels, and Spokandy's devotees have welcomed this final touch. "We all thought salt would be a trend, but we are going on year eight of salted products and adding more salted products annually," says Davis. Savory or sweet, food just doesn't taste as good without the perfect balance of salt. Salt brings out the flavors in the otherwise bland and elevates sweets to new levels. This pure, white sea salt has a brininess reminiscent of the sea. The flakes vary in size and texture, for prolonged flavor with a little crunch. Sprinkle on fresh vegetables to experience the salt's dynamic zing. Hand-harvested seawater is boiled and steamed to produce this delicately flaky sea salt. Use as a finishing or cooking salt. Truffle, lemon zest and vanilla bean sea salt are in the works at this chef-run company. West of Tillamook, Oregon, in Netarts Bay, Jacobsen Salt Co. evaporates Pacific seawater to create a delicate yet crunchy finishing salt. A wide variety of flavored salts — ghost chili, Oregon pinot noir and lemon zest, to name three — are sold alongside salty black licorice and caramels. With salts imported from more than 20 countries, Artisan Salt Co. has salts for all occasions and palates. Cold-smoked alder, hickory, chardonnay oak and applewood salts are popular, as are favorites like black truffle and Thai ginger.